Ben Webb, CFA is Balentine’s Director of Manager Selection and Implementation. In this role, he supports Balentine’s Investment Strategy Team through research, data aggregation, portfolio analysis, and performance attribution. Prior to joining Balentine, he spent more than two years at Towers Watson, working predominately with institutional clients. 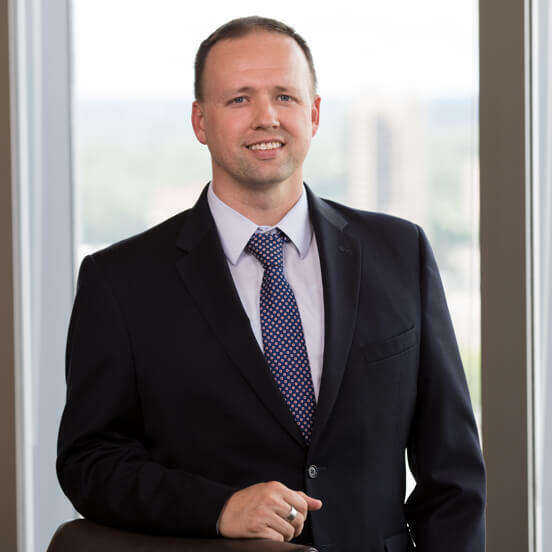 Ben is a CFA® charterholder and sits on the programming committee for Atlanta’s CFA Society, the Atlanta Society of Finance and Investment Professionals (ASFIP). Additionally, he is a member of the Young Southern Capital Forum. Ben is a veteran of the United States Navy, where he served as a nuclear reactor plant operator and as a nuclear mechanic onboard a submarine. I was in college studying management during the 2008 Financial Crisis. I become fascinated with the capital markets and how interconnected they are; as a result, I immediately changed my major to finance. I was fortunate to land a job in the finance industry right out of college and gained a very wide-angle view of investing. I try to arm our Relationship Managers with the best possible information so they can offer clients meaningful insights into our strategies and managers. Ensuring the fee that the clients pay is well deserved. It is a passion of mine to lower the fee drag from the investors to the capital markets. Businesses like ours need to ensure that we add value over and above our fee. What was your hardest lesson learned and how did you learn it? Do not take on more than you can handle. While it still gets reinforced from time to time, I first learned it right out of school, when I thought I could balance much more than I should have. I lived in Hawaii for three years during my time with the U.S. Navy, and now everywhere else pales in comparison.